Poetry. 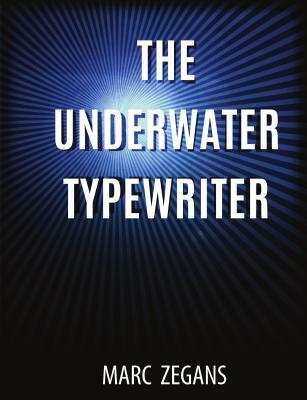 THE UNDERWATER TYPEWRITER is a collection of poetry that immerses us in voice, bestowed by grace, in the face of cruelty, coercion, chance, betrayal and loss. THE UNDERWATER TYPEWRITER arrives as a collection of weathered shards, through which light and by implication love pass kaleidoscopically. Its shifting patterns reveal the variety and range demanded of a poet traversing brutal terrain, tempted by but refusing bitterness. Zegans' poetry finds human possibility in the broken, and discovers life beyond wistful memory compiled in the collage of remaindered things. With language and metaphor beautiful and delicate, THE UNDERWATER TYPEWRITER, a selke's gift, draws us back to ourselves, as we journey through extraordinarily hard emotions to the beating heart of our connection with people and place. Listen closely as you read, for sound travels great distances under water.